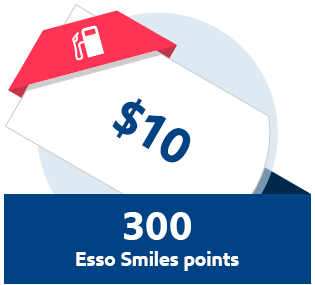 Don't have an Esso Smiles card? Get yours now at any Esso service station near you. 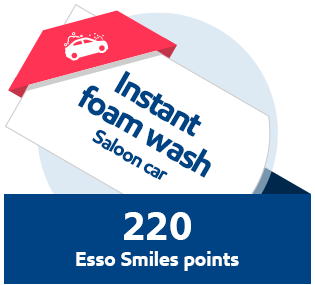 Simply get your Esso Smiles card from any Esso service station. 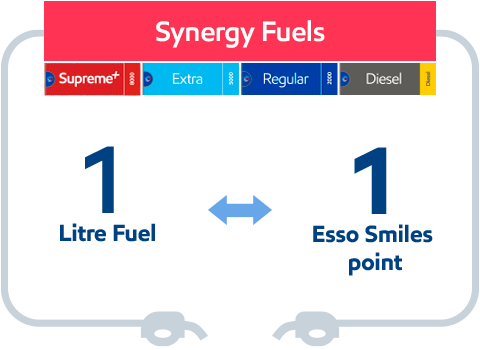 Find your nearest service station here. KrisFlyer is a frequent flyer programme maintained by Singapore Airlines Limited. Members can use KrisFlyer miles to redeem flight upgrades, as well as award tickets to more than 1,000 destinations, in over 170 countries on Singapore Airlines, SilkAir and their world-class airline partners. Asia Miles is a travel reward programme comprising of a variety of airlines, including Cathay Pacific and Dragonair. Asia Miles members can enjoy a wide range of lifestyle awards from gourmet dining, trendy electronic gadgets and exclusive events, to limited-edition items. Citi Dollars are rewards points for Citibank Credit Cardmembers. Citi Dollars can be used to redeem a variety of instant rewards, cash rebates, and over 300 items within the Citi Rewards Program catalogue. 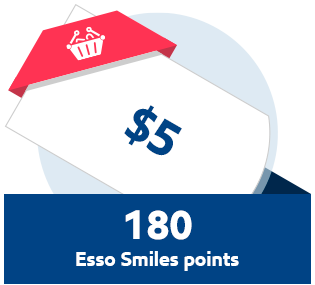 To convert your Esso Smiles points to Citi Dollars, simply download the Esso Smiles Points Conversion Form and hand the completed form to our service staff. Download now for a world of convenience and rewards.